"I know I am elder to them in age and taller them in height, but today I am feeling quite small compared to these three greats -- Sachin Tendulkar, Sunil Gavaskar and Gundappa Viswanath. Their contributions to the country, society and cricket will always be invaluable forever. My best wishes to Sunilji and Gundappaji on their 60th birthdays. 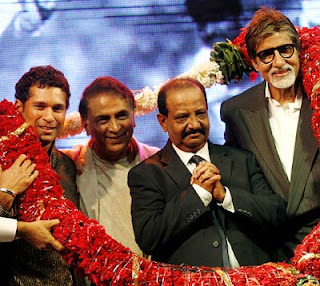 I pray to god that they live forever and pass on their experience and knowledge to generations to come," Bachchan said. The teaser ads last Thursday showed just a bald head inside a cardboard box with a caption saying ‘See you in December’. But that was enough to make Paa a part of everyday conversation. Such teaser ads, normally associated with an FMCG product, are being used for the promotion of a film for the first time, that too more than a month before the actual release date. 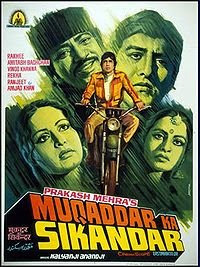 Paa, in which Amitabh Bachchan plays the role of a 13-year-old boy with an extremely rare genetic defect that causes accelerated ageing, has many other firsts to its credit. For one, the Big B is planning to visit schools to educate children about the disease called progeria which makes a person look five times older than his actual age. Says ad veteran R Balki who has directed the film and is the brain behind the campaign: “The story is sensitive, so we have to avoid the usual razzmatazz associated with a Bollywood movie”. But Balki, who had directed Bachchan in another movie called Chinee Kum, is thrilled with the response that the teaser ads have generated. “The noise level has beaten our expectations,” he says. It’s also the first time that Aishwarya Rai (Bachhan’s daughter-in-law) will take on the role of overseeing the promotion of the film, which has been co-produced by ABCL Ltd (making it a home venture) and Reliance Entertainment. In yet another novel experiment, instead of the usual credit titles, Jaya Bachchan will be introducing the cast and crew of the film. 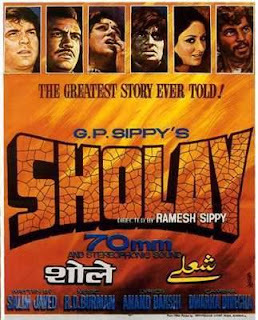 Though used in Hollywood, this is the first time that a Bollywood movie will do this. The content of the film, a emotional story of a father and son, itself is unique – apart from Bachchan playing a 13-year old boy, his son, Abhisek, will the play the role of his father — a big enough reason promoted subtly to generate curiosity. And all this has been achieved without much cost, says Balki. “Everything has been taken care of by the novelty element which has got people talking. More than making an expensive campaign, our idea was to design it in such a way that more than Bachchan, it’s his character that people talk about,” Balki says. 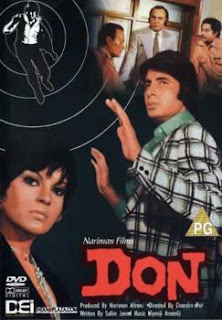 In any case, the most expensive element in the Rs 16 crore film (the low budget is understandable as it’s a home venture of the two main stars) was Bachchan’s make-up which cost 10 per cent of the total budget. No wonder it used to take four hours to put on the make-up and two hours to remove it. Analysts say the clever campaigning has done exactly what Balki wanted – Brand Paa has become bigger than the superstar. Hiren Pandit, Managing Partner of Group M, thinks it’s a brilliantly executed campaign. “The production houses know that the high point of Paa is Bachchan's character and look in the film. So the campaign is a build-up to that selling point. This has been backed by great PR initiatives which are creating a huge curiosity,” Pandit says. The other important contributor to the fim’s promotion is its highly interactive website – paathefilm.com. The question – Do you like Amitabh’s Paa look? — has got record response over the last four days. 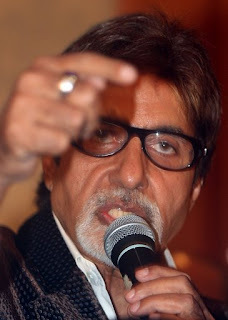 It’s also for the first time that the Big B is promoting any of his films on his blog. Film promotion, clearly, has never reached such heights before. Tomorrow, Amitabh Bachchan will be conferred with yet another prestigious recognition. The actor is all set to receive the Crystal Award 2009 at Davos, Switzerland. The award is being given by the World Economic Forum to the star as an admiration for the level of success achieved by Big B as an actor. Mr.Bachchan will be joined by the acclaimed dancer Mallika Sarabhai at Davos. The Kuchipudi and Bhatatnatyam dancer has been selected for the Crystal Award for her marvelous success in the field of culture and for her attempts in reaching out to the other cultures with the help of art. This year's 39th annual gathering of World Economic Forum at Switzerland aims to find ways out of the ongoing financial crisis that has crippled the markets around the globe. 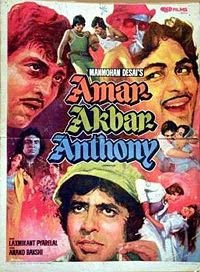 Congrats Mr. Bachchan, we wish you success for all your future projects. On 26th January, Aishwarya Rai Bachchan was conferred with the Padmashri . Aishwarya recently at the inauguration of the Kokilaben Dhirubhai Ambani Hospital and Medical Research Institute, said she was "absolutely honoured" and was grateful for it. She thanked the high officers of India because this award has been accorded to her by them and her fellow people. An ecstatic Big B shares his joy with his his ardent fans. Here is what Big B wrote on his Blog: " Aishwarya came in, full of bubble and laughter and Padma Shri. And the mobiles from media kept a strong presence for bites on her achievement. How do you feel today sir. How do I feel ? How would anyone feel when daughter wins accolade and distinction ! 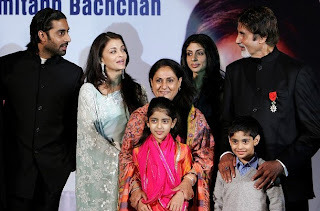 "This is not the first Padma Shri that was awarded to Bachchan family infact there are 5 Padmashri Awardees in the Bachchan family: The first Padma Bushan was awarded to Late Shri Harivansh Rai Bachchan, then it was awarded twice to Amitabh Bachchan and then Mrs. Jaya Bachchan and finally Aishwarya Rai Bachchan . The Big B Amitabh Bachchan will attend the London premiere of Akshay Kumar comic caper "Chandni Chowk To China" (CC2C) today. Amitabh, who is in London for make-up tests for his forthcoming venture "Pa",received an invitation from Akshay for the premiere over a phone call fromToronto, Canada. "Akshay called at 5.30 a.m. and said, ‘CC2C is premiering at Leicester Square,London, on Jan 12th. 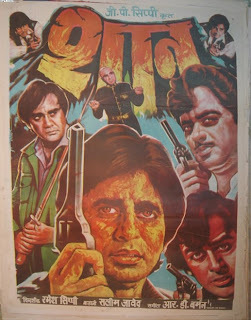 I shall be honoured if you could come and join us.’ I toldhim I shall," Amitabh said in a posting on his blog www.bigb.bigadda.com Sunday. He wrote that Akshay warned him, "Just don’t bring your brains and thinking capalong." London is the fourth destination of the grand international premiere of "ChandniChowk To China", directed by Nikhil Advani. It has already been showcased in LosAngeles, New York and Toronto. Releasing Jan 16 in India, the film will be nextpremiered in Dubai and Bangkok. I was trying desperately to post two articles or write ups or columns or whatever they are called, by the same author, contradicting their own selves. My expertise in doing the technicalities seem to have failed miserably. So I abstain and shall seek the guidance of the servers when they come for a meeting tomorrow morning. It was a piece written by Shobha De, the eminent columnist where she had castigated ShahRukh, Aamir and yours truly for behaving like cowards and not making any comments after the Mumbai carnage. This was in MidDay. Subsequently there was a more recent article by same eminence, in the Asian Age, where her opening paragraph leads us to believe that she abhors views and opinions and debates and reactions playing incessantly on the tube ! Just felt it was dichotomous in nature. If dichotomous be an expression of acceptance by the Chambers and the Oxfords. Oh ! Eureka ! I checked. It actually is. The articles are there to be observed. Thanks a lot for your choice and accept the truth !!! Its the stuff that fills up my mobile and its the stuff I share. Furious debates reactions and comments occur during the course of the day. India and Pakistan, Israel and Palestine and Hamas and Gaza and LeT and J&K and militants holed up in defiance and LTTE and SriLanka.. Morbid pictures and visuals keep recurrently appearing on the TV. Viewers are asked to spend some money from their mobile to push in votes, pro and against the topics of discussion. Half an hour later, attractive conductor of debate, after chatting with several learned, well, supposedly learned, individuals on the subject, gallantly conclude with great fan fare and crunching back ground score, the final outcome. Adjust their make up and dress, their saries and salwar kameez and suits with badly knotted ties, disconnect the microphones from their lapels and drift off into the social whirl, to pick up perhaps the next sensation for the following morning ! The dead the innocent killed, without any care and feeling, another day’s job done ! Who is more merciless ? Those that indulge in unwanted belligerent violence, or those that force their belligerence on the viewer ?? 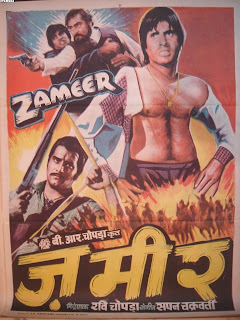 This is the Old Poster Some Hit Films . What Do you think About Old Pictures ? 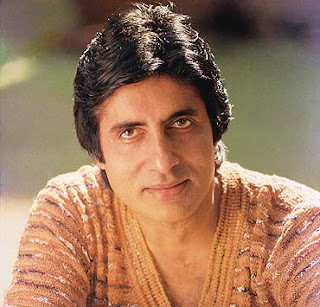 How Many Films Will Do Amitab bachan ? SE provided by HigherEd Degrees Online marketing team.